A Valentine’s Day Scavenger Hunt!! It’s Valentine’s Day again! 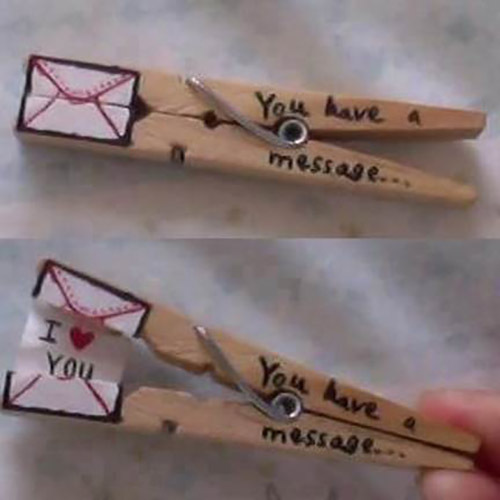 So how do you show that special someone that you care? With my husband of 28 years, I have found that it’s never the monetary gifts never that show him how special he is to me – after all, his eyes don’t light up at a blue Tiffany box like mine do!! But he always appreciates little notes and handmade gifts which bring out that youthful smile I fell in love with all those years before. When we first married, we were as different as black and white, but over the years, I feel like we have melded… at least into the same breed!! Since he planned an incredibly romantic trip to Hawaii for us last year, I think it’s my turn to do something special for him this Valentine’s Day!! A few years ago I decided to give him a scavenger hunt, and it was my best Valentine’s surprise for him yet! Thinking of all the things I like and admire about him, I’m planning to do another scavenger hunt this weekend, filling the day with notes of all his wonderful traits that have become even more endearing over the years! He will get a personalized coffee mug! 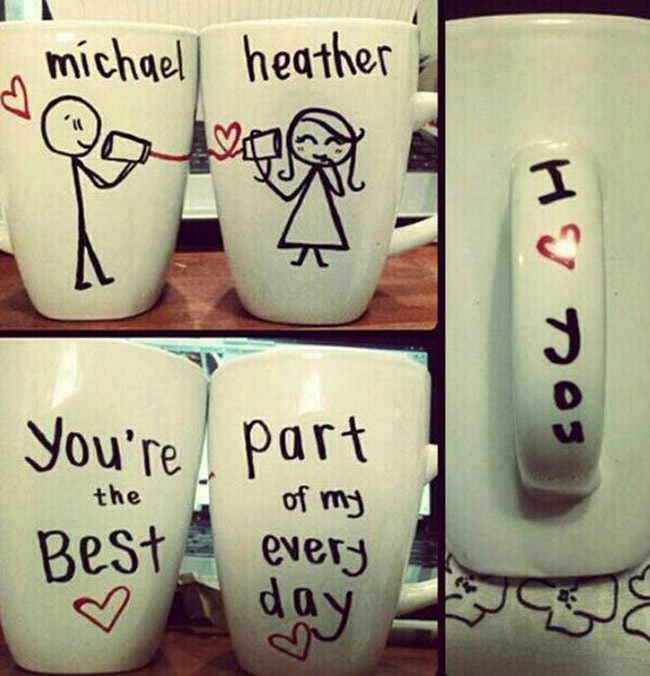 Super cute and so easy to do with just a dollar store mug and a Sharpie!!! Just write or draw whatever you want and bake the mug for 30 minutes at 350 degrees!! Let it cool before you wash or use. I’ve heard the oil-based paint Sharpies will give the longest-lasting results. … his car!!! 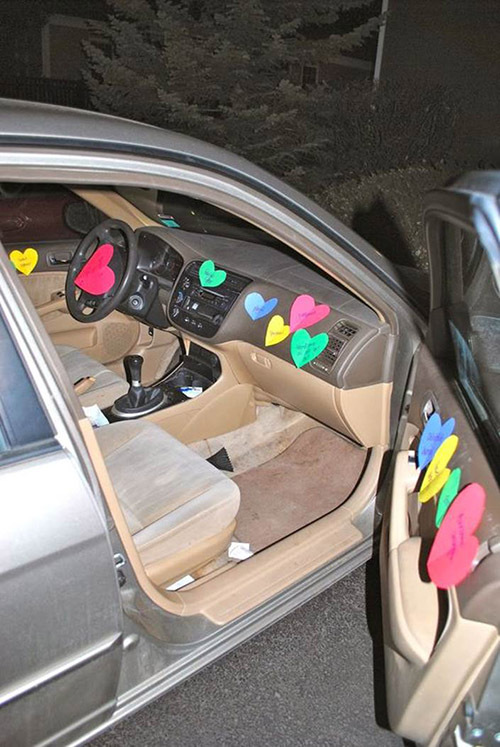 Since Valentine’s is on a weekend this year, adding a bunch of messages all over the car is the perfect way to prevent road rage while he’s on the way to church or running errands!!! Such cute handmade wrapping paper, it doesn’t even matter what’s inside! It can even be the clue to the next stop!!! 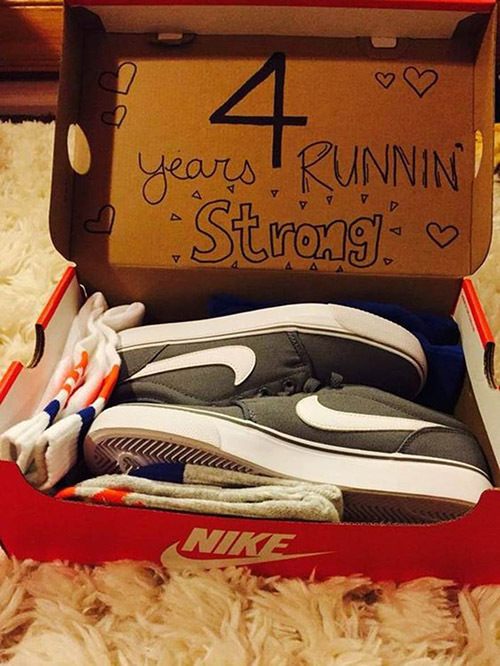 Because my man is an avid tennis player, I think he’d love finding a new pair of his favorite tennis shoes inside his locker along with the next clue!!! Easy to clip anywhere, these would be a clever way to package the clues! I think my kids would love this as well!!! I would like to say I’m planning to dress like Marilyn for his arrival home, but we’re having a Valentine’s Day dinner for several couples at my house so I will be busy getting the table set!!! Plus……I couldn’t quite pull off the look!!! We hosted a couples dinner in 2014 too and had so much fun – check it out in this post! 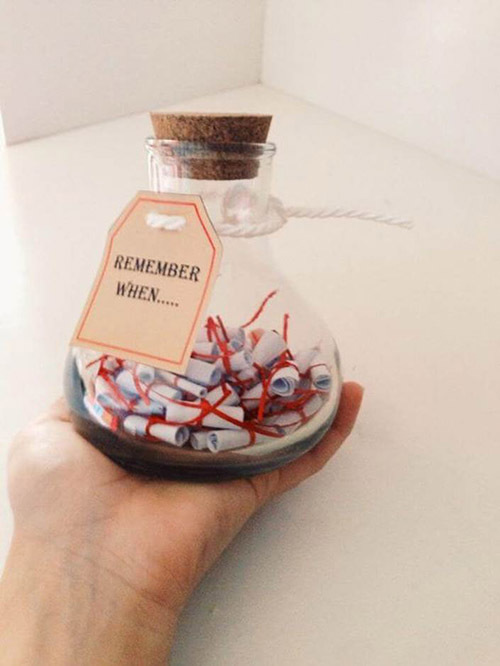 I think this would be a great way to end the hunt… Each miniature scroll is a reminder of all the things you love about him and all the special moments you’ve shared together!! He could pull out just one a day so it would last for months to come!!!! 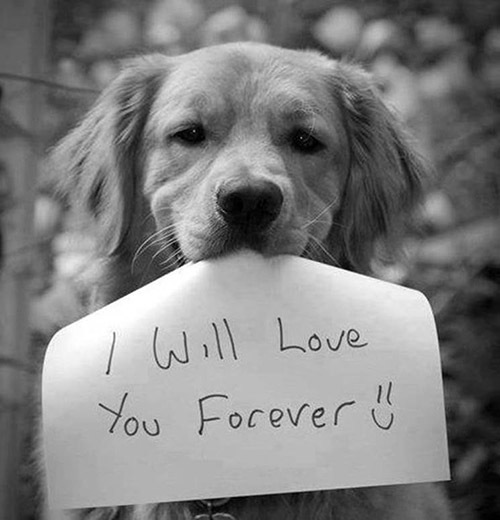 Of course, the main thing I want him to know is that good or bad, happy or sad, I will love him forever!!! Happy Valentine’s Day to all of you! 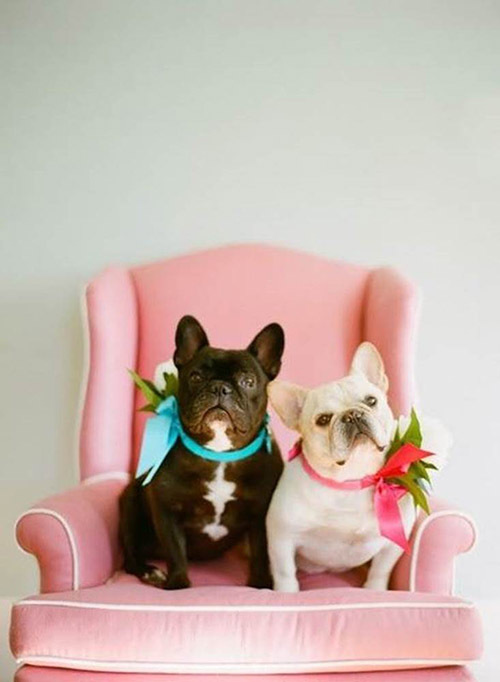 You can look for some other cute ideas on my Pinterest board! It’s been so fun having my daughter Kirby take over the store! 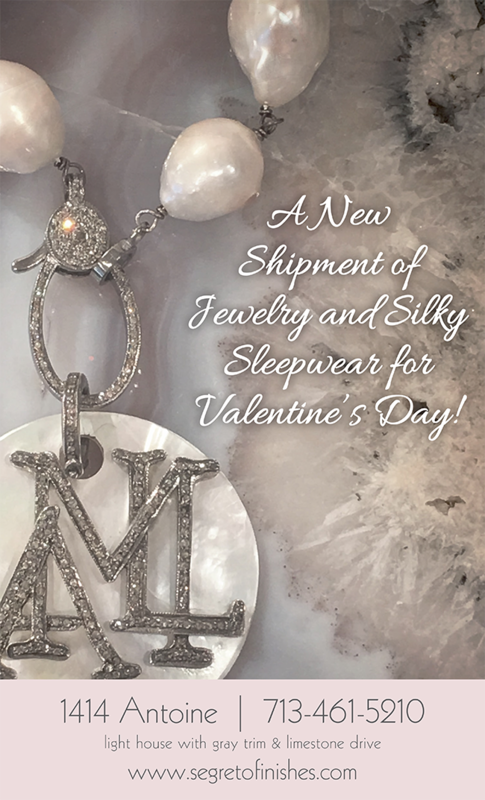 Just in time for Valentine’s Day, we have new gift items coming in!!! All the jewelry is unique and just stunning!!! Come by and see her top picks! 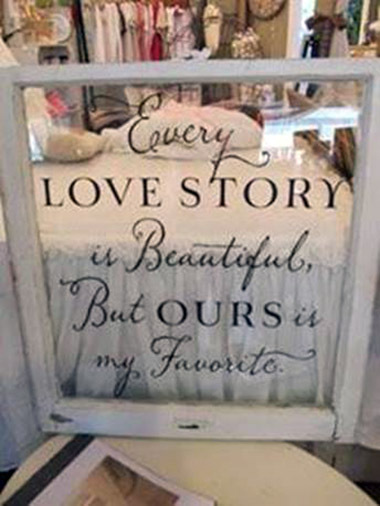 Hope you have a great love-filled week! P.S. Find me on INSTAGRAM Here! I love these ideas for a scavenger hunt! 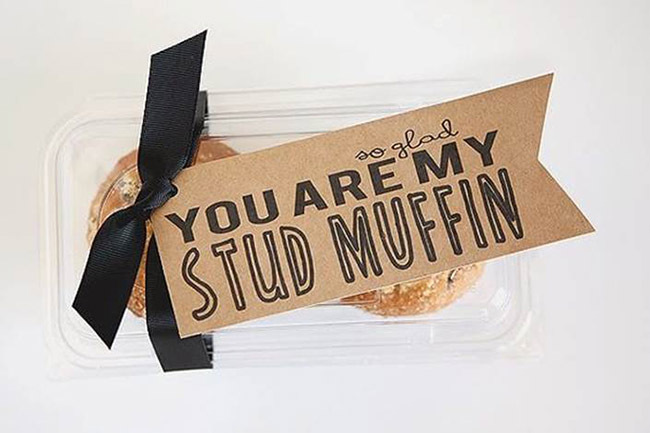 This will be a very special Valentine’s Day for your husband( and for you) !! Congratulations to you for such a long and wonderful Marriage!!!! Happy Valentine’s Day!!! 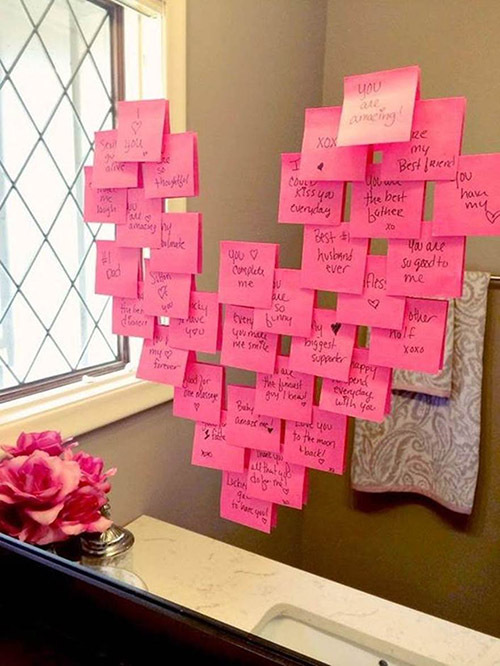 Leslie…now that is such a cute idea…he’ll love it! But, he would love it more if you dressed up like Marilyn!